Due to the renovation of the Student Center, the Welcome Desk and the Center for Student Involvement will be temporarily relocated to SC 334 after Monday, Oct. 8. With more than 100 clubs and organizations on campus, you can find one or two or more just for you. Find all the latest organizations at GetInvolved@JCCC or stop by the Center for Student Involvement (CSI) in SC 334. Connecting and getting involved is easy! Visit the events list at GetInvolved@JCCC to see everything going on. You can see event details, organizations, and read up on the latest news. Then sign in with your MyJCCC login and create a GetInvolved account to RSVP to events, join clubs and organizations and contact club leadership. The system will keep track of what you've committed to and what you've attended, making it easy to stay on top of all the great things you're doing. Got an idea for a club? Want to start your own club? That’s an option. Visit the CSI office to learn how to create a campus club or organization. 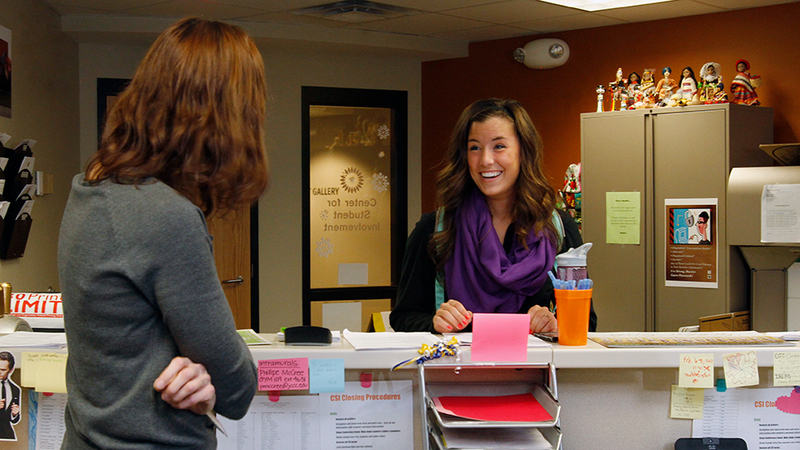 Remember, the friendly staff and advisors at CSI are here to facilitate and encourage networking. CSI also proudly displays student work from the JCCC Art Department while serving as a main location for the both the Academic Excellence and Dance teams.